Amarone della Valpolicella is a style of wine making in the Valpolicella viticultural region in the Italian province of Verona. 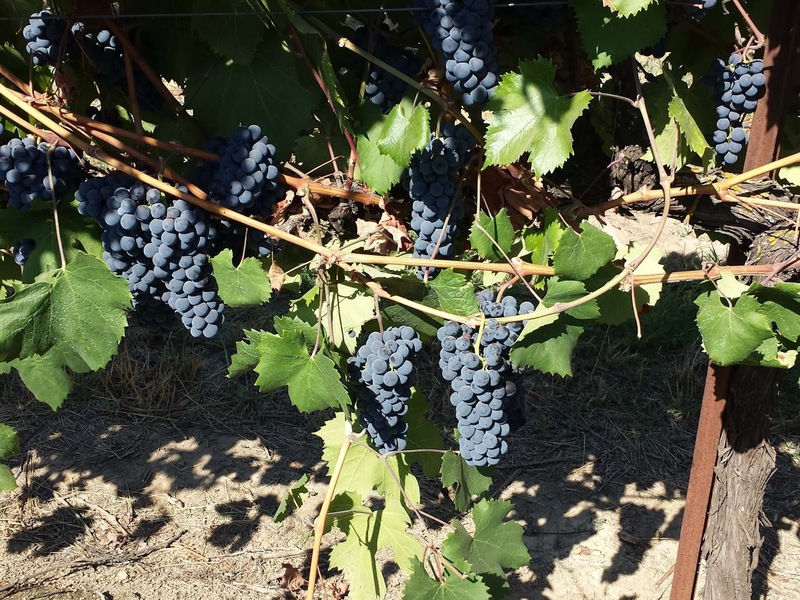 Amarone wines are made from a blend of Corvina, Rondinella, Molinara and Versonese grapes that are placed in open crates to dry for a number of months in a process called appassimento. 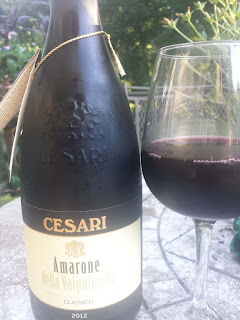 From its inception in 1936, the Cesari winery under founder Gerardo Cesari has been producing Amarone wines with the Cesari Amarone della Valpolicella Classico 2012 ($40) the latest release. The winery utilizes Corvina, Rondinella, and Molinara grapes that are sun dried for four months then fermented very slowly on their skins. The wine then undergoes an extensive aging regime, a mixture of French oak barriques and large Slavonian oak barrels for one year, then blended and aged 18 additional months. 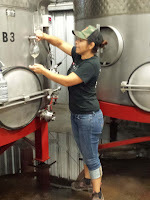 Once bottled, the wine rests for eight months before release. Amarone wines are considered very age-able and when I first opened the wine was very tight, a restricted aroma and soft flavor. I lightly corked the bottle and opened the next evening and the wine had transformed into a beauty. 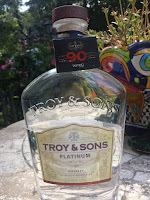 Dark fruit and spice on the nose, more dark fruit and chocolate melting through a soft mid-palate, and finishing very smooth with a slight spicy character. With patience, nicely done. 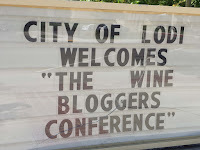 A couple weeks ago I attended the 2016 Wine Bloggers Conference sponsored by the Lodi Wine Grape Commission. 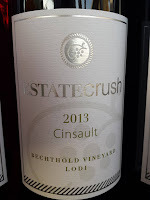 There's always some crumbling about the sessions, and personally I would have preferred more Lodi specific content. 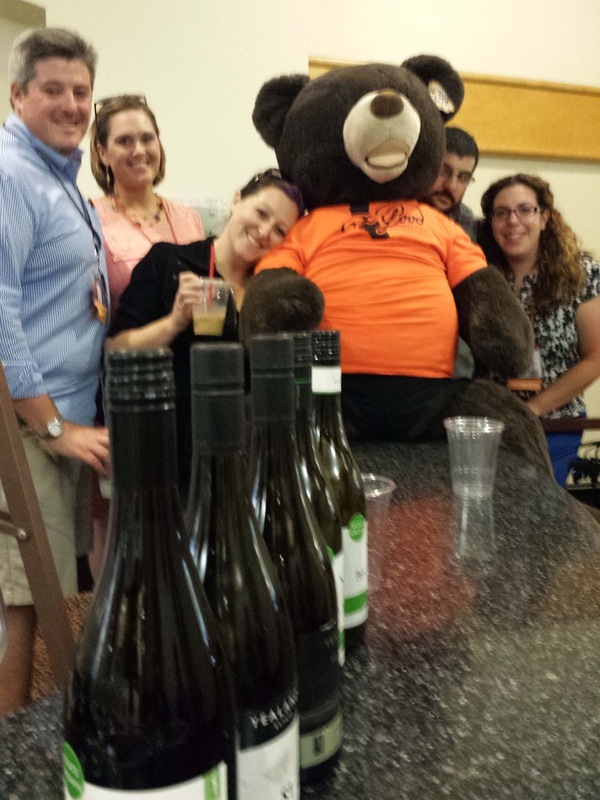 But in total I believe #WBC16 was a great success. Here's why. An extended lunch caused many of us to miss the A Bold New Look at Sustainability session sponsored by Yealands Family Wines and hosted by chief winemaker Tamra Kelly-Washington. 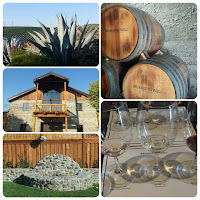 Fortunately I met the Palm Bay Int'l reps walking out and they generously donated six Yealands' wines for us to sample. After a scramble for glasses, a pop-up tasting ensued. 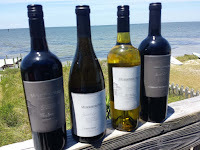 The wines consisted of a Pinot Gris, a Pinot Noir, and the rest Sauvignon Blanc; the S1 Single Block Yealands Marlborough Estate Sauvignon Blanc being the consensus favorite. This was the first introduction to Lodi wines for most of us and it reinforced rumors that Lodi was just not all old vine Zinfandel. 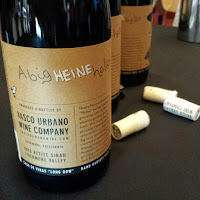 Yes, there were several nice examples of this signature wine, but I also sampled Turley Wine Cellars Cinsault, Mettler Family Vineyards Pinotage, Alicante Bouschet, Cabernet Sauvignon, Sangiovese, and Sauvignon Blanc. 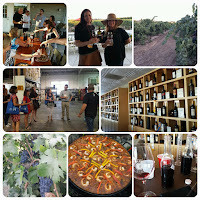 We also had our first opportunity to taste the Scotto Cellars Masthead: A Lodi Wine Blended by Wine Bloggers. The 100% Mohr-Fry Ranch Block 433 Sangiovese was very smooth. Well done. 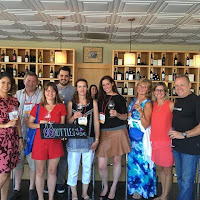 The conference's first after party was sponsored by Scotto Cellars in their new downtown Lodi tasting room. 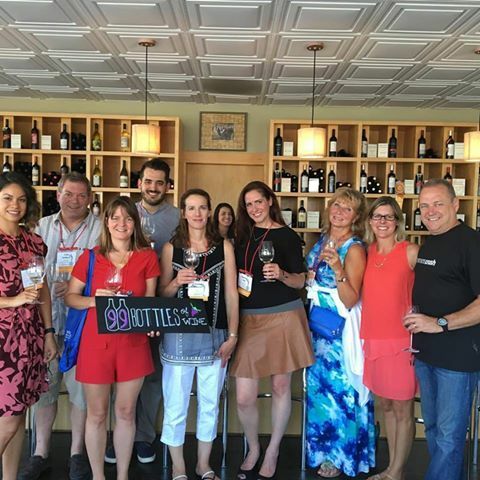 They also invited Peltier Winery & Vineyards and Klinker Brick Winery to pour alongside Scotto's wine and Cider Brothers cider. In fact, this was my sole opportunity to drink cider the entire trip and their William Tell Dry Hard Cider with Pinot Grigio was a hit. The party also felt like a family reunion as more friends strolled in. 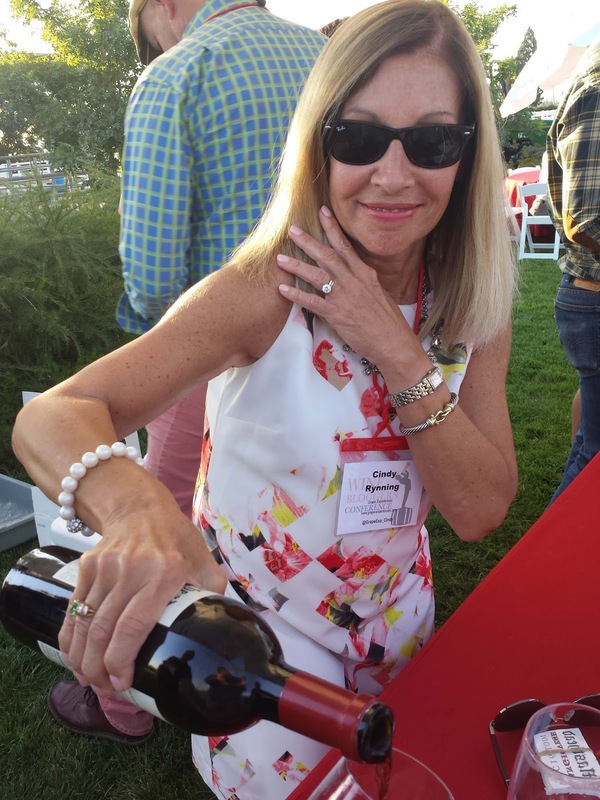 At the Masthead party I learned that Lodi vineyards grow Teroldego, the Northern Italian grape from Trentino. Hard to believe. Yet I sampled at least three versions: the Peltier Winery Reserve Teroldego 2010, the Estate Crush Teroldego, and the LangeTwins Single Barrel Teroldego 2012. All were structured, acidic, and tannic - ready to lay down for a few years. 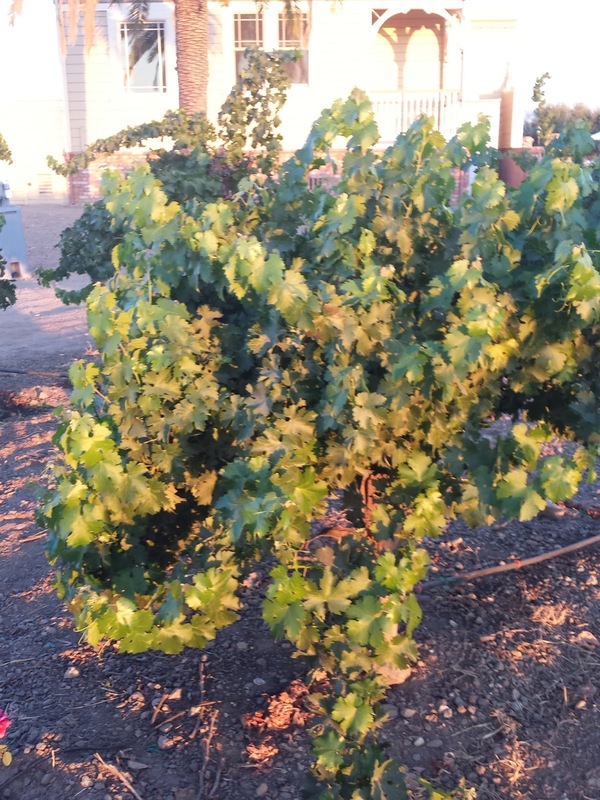 My next homework assignment is to research why Lodi is a good location for this grape. 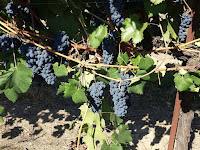 Over the weekend I sampled several excellent Cinsaut - Estate Crush, Turley Wine Cellars, McCay Cellars, Michael David Winery - all sourced from the historic Bechthold Vineyard. First planted in 1886, it is considered the oldest Cinsaut vineyard in the world - older than those in France where it is the fourth most widely planted grape variety. Before DNA analysis confirmed the grapes as Cinsaut, Al Bechthold was selling his crop for as low as $250 a ton. Now the highly desired grapes fetch ten times that amunt; all thanks to Joseph Spenker, the great-grandfather of Bechthold 's wife Wanda. 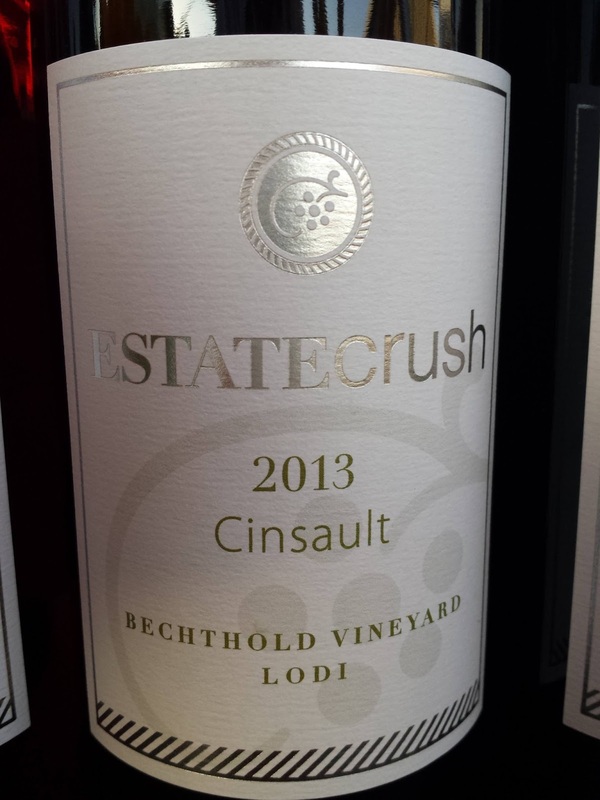 In general, the Lodi Cinsaut wines were lively and intense with smooth and slightly tannic tails. Cinsaut Me with these wines that averaged only $25. The Wizard of Whiskey Justin Koury must have spent months acquiring the plethora of spirits he displayed at the #WBC16 #CraftSpirits Lounge. I never bothered to count, but there had to be at least four to five dozen? 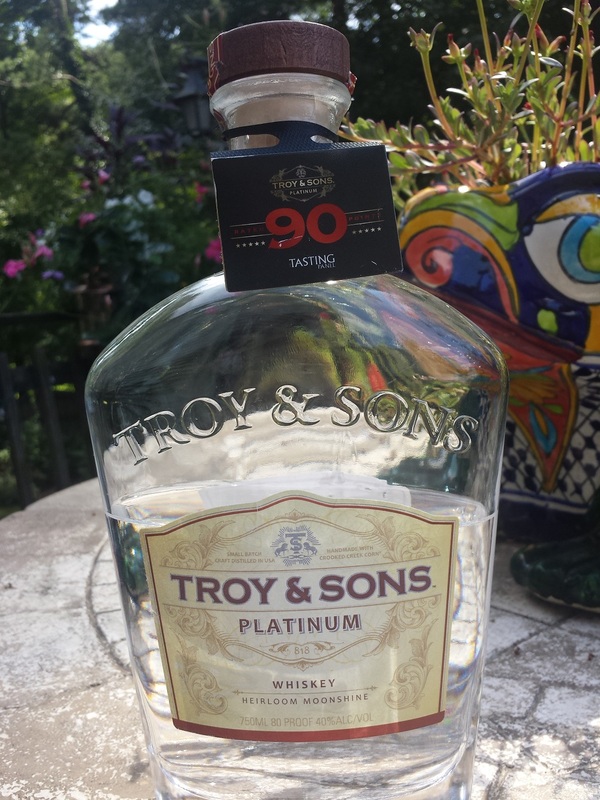 Besides drinking old favorites like the Hillrock Estate Distillery Solera Aged Bourbon, there were several highlights like the Few Spirits Rye Whiskey and the Bozeman Spirits Distillery 1889 Montana Whiskey. The lounge was also simply a quiet place to hand out - playing cards or catching up. At least quiet until the Pinata bashing.... Thanks Justin and all the sponsors. 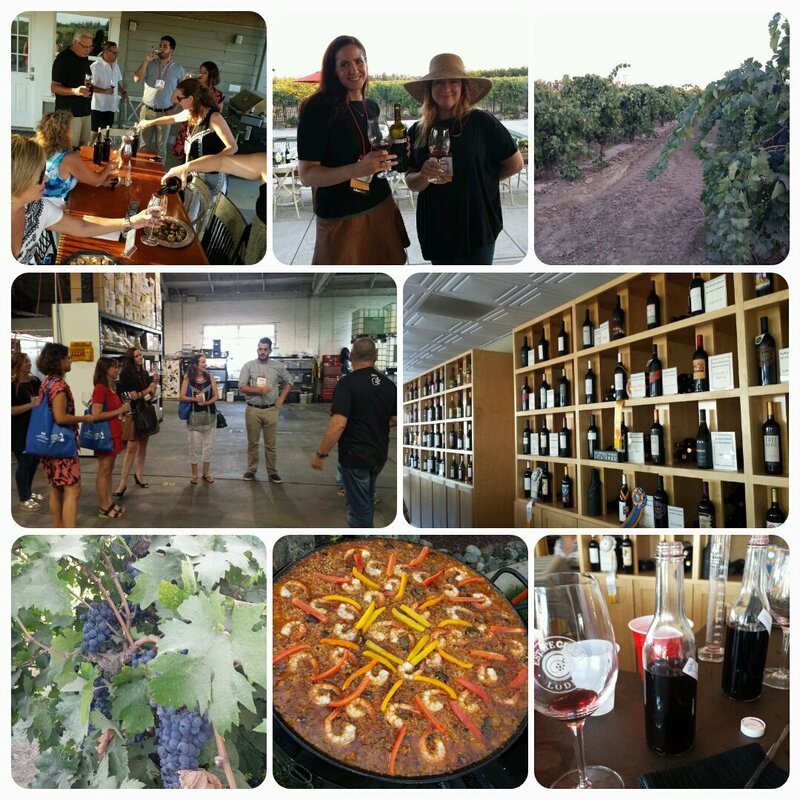 The vineyard excursion is usually one of the highlights of the conference and this year's equaled the fabulous Bien Nacido Vineyards excursion during the Santa Barbara conference. Our small group was taken to Estate Crush, a custom crush facility with over 80 clients and 120+ brands. Proprietors Bob and Ali Colarossi greeted us with glasses of 2015 Estate Crush Albarino and revealed our assignment. 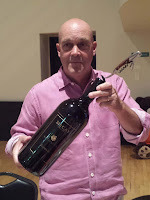 We were to create the final blend for their 2014 Colarossi Estate Old Vine Zinfandel that would be bottled and given as a parting gift to all the WBC16 wine bloggers. 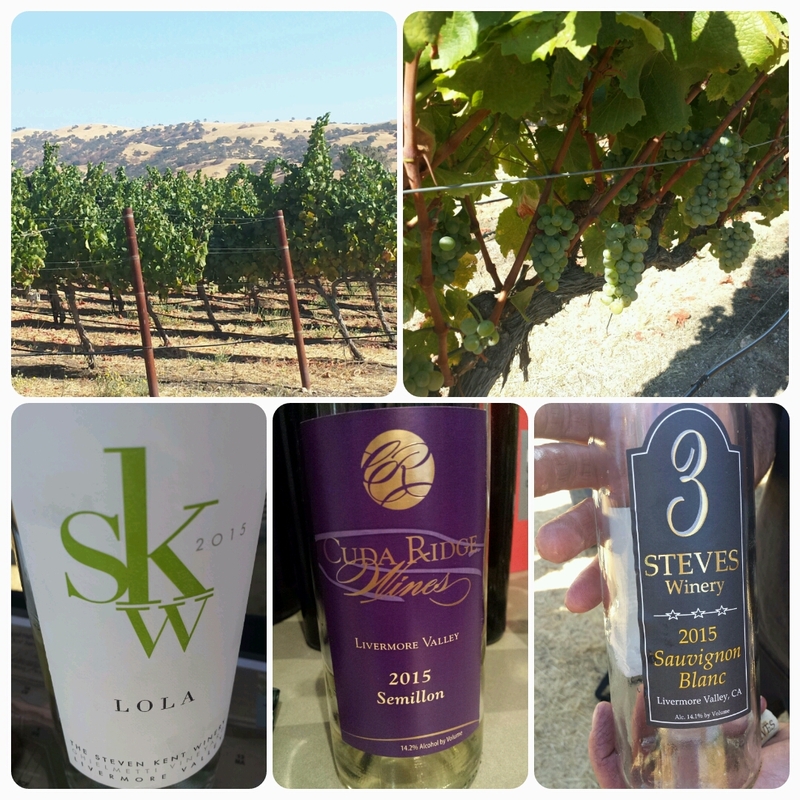 Divided into four groups, we all started with 95% Zinfandel and two additional grapes that would comprise the final 5%. My partner Eveann of Vino Con Vista Italy and I were given Sangiovese and a Cabernet based Red Blend which we turned into a final blend of 97% Zin and 3% Red Blend. During the blind tasting our blend received only one vote, ironically from me - talking about having a cellar palate. The wining wine was blended by Rachel of rachelvonwine and Heather of 10K Bottles - a blend of 97% Zin, 2% Syrah and 1% Petit Verdot. After our blending session we proceeded to the Colaross's home where we were fed abundant amounts of Paella de Wetmore, thanks John, and of course wine - even going back to a three or four year vertical of their estate Old Vine Zinfandel. I didn't return back to the hotel until 11:30 - well past the 8:00 pm scheduled departure - and I hear the party didn't wrap up until 1:30. Thank you so much Bob and Ali. 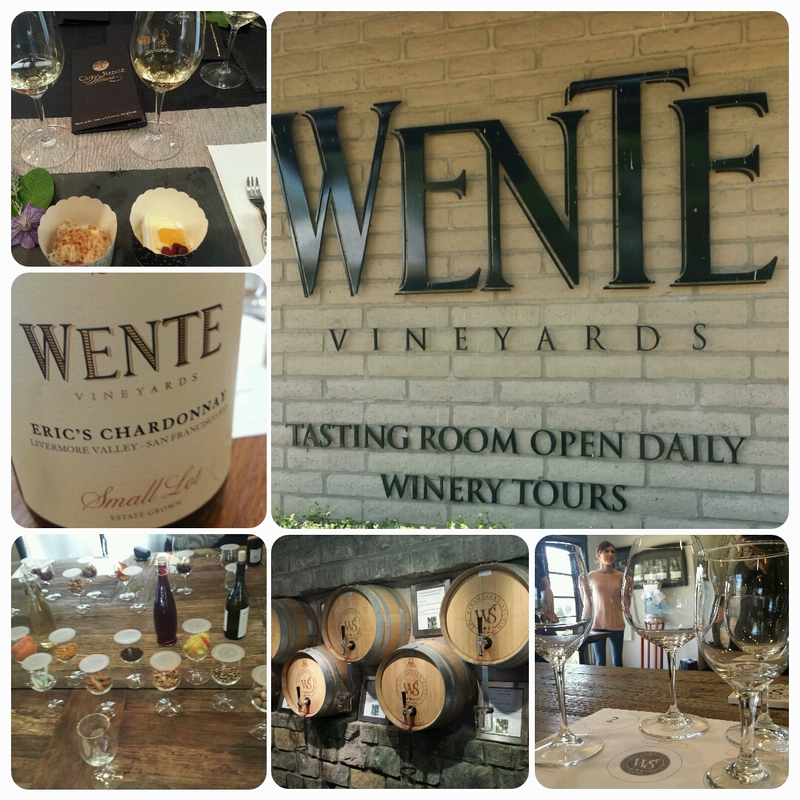 I always try to commit to a WBC pre-excursion and chose the Livermore Valley Winegrowers Association sponsored tour. This was a fantastic outing, lavishly planned and executed. 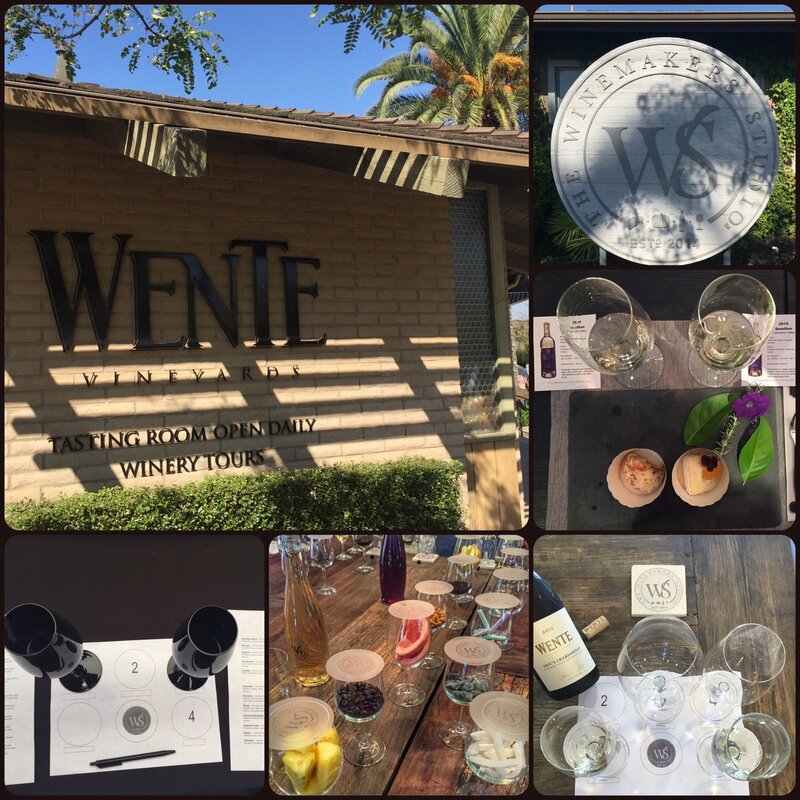 We had dinner at historic Concannon Vineyard hosted by John Concannon and Karl Wente, the 5th generation winemaker at Wente Vineyards Estate Winery. 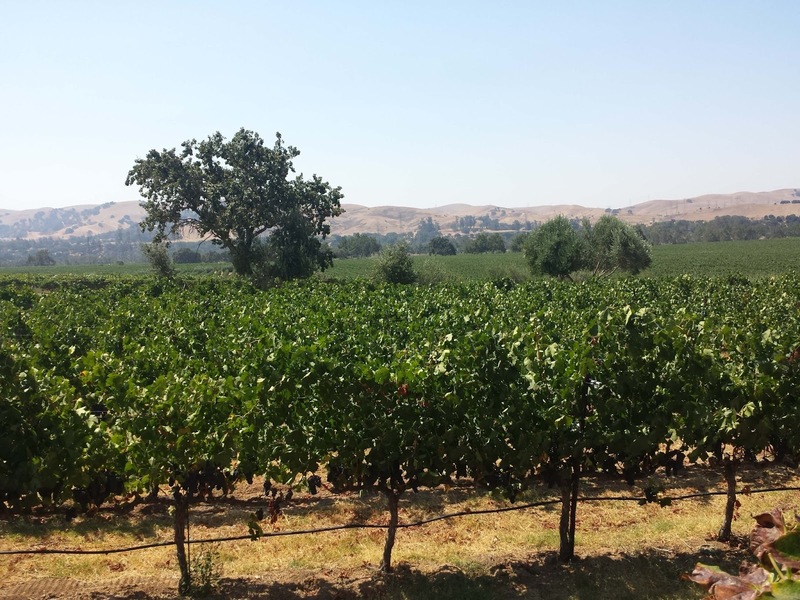 Both Concannon and Wente have been producing wine continuously since 1883 and we tasted the grapes straight off Concannon’s Cabernet Sauvignon “mother vine,” parent of 80% of Cab vines planted in California. 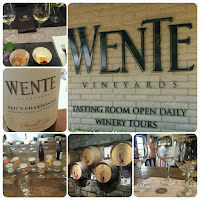 Similarly Wente's Chardonnay clones are responsible for about 86% of Chardonnay vines planted in California. 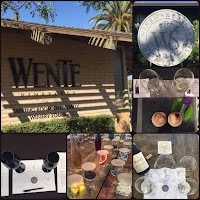 We also enjoyed breakfast and wine at the Wente family Murrieta’s Well as well as a series of interactive wine sessions at the Wente Winemaker Studio. Finally there were numerous tastings of other producers such as Steven Kent Winery, 3 Steves Winery, McGrail Vineyards & Winery, Las Positas Vineyards, and our new favorite winemaker Collin Cranor. More to follow on this subject. We will never know that total amount of effort put forth by volunteers busing tables, attending meetings, laying cable that enabled the conference to succeed. 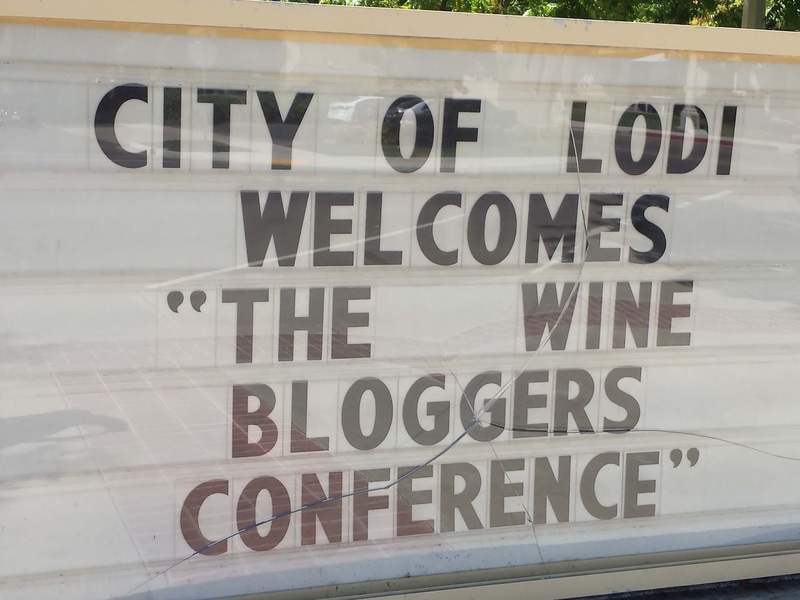 Neither will we know the total amount of Lodi wine poured on our behalf. 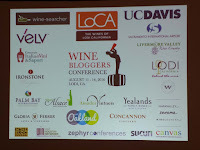 But I completely appreciate the time and money that the Lodi sponsors undertook to make this conference happen. For instance, the converted high school now used for conventions did not have WiFi before our conference. 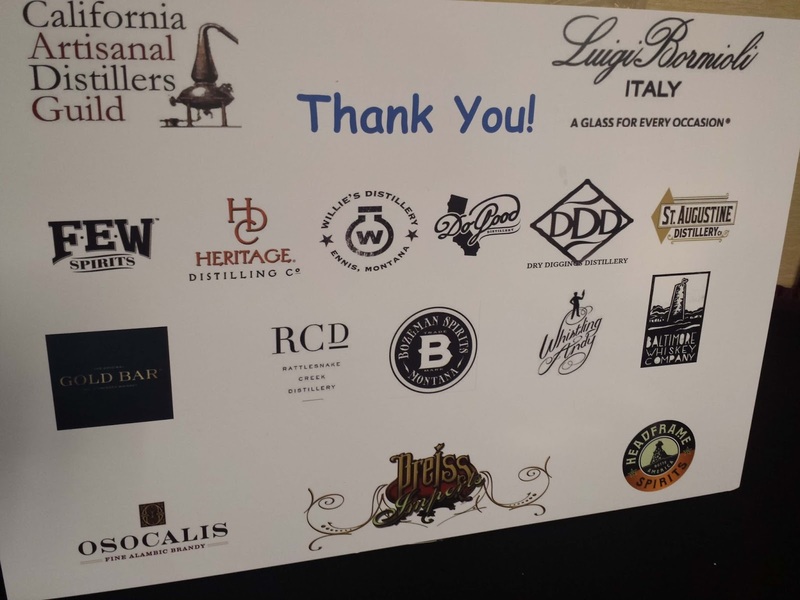 The Lodi Wine Grape Commission through different philanthropic groups raised $60,000 in order to install the much need WiFi. And just days before the conference technicians were tweaking the routers for each individual meeting room. Then there's the wines and dinners. The Colarossio's of Estate Crush poured our small party an unbelievable amount of wine including the vertical of their excellent estate old vine zinfandel. 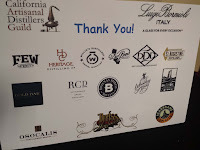 There's the wines poured during the opening reception, Scotto Cellars and their Masthead party, and the various lunches, dinners, excursions, etc. And during the conference dinner, Michael McCay uncorked a rare double magnum of McCay Cellars Contenium Zinfandel on top of his generous assortment of other wines. So thank you very much to all the volunteers and participating wineries. Cheers to a fantastic conference. 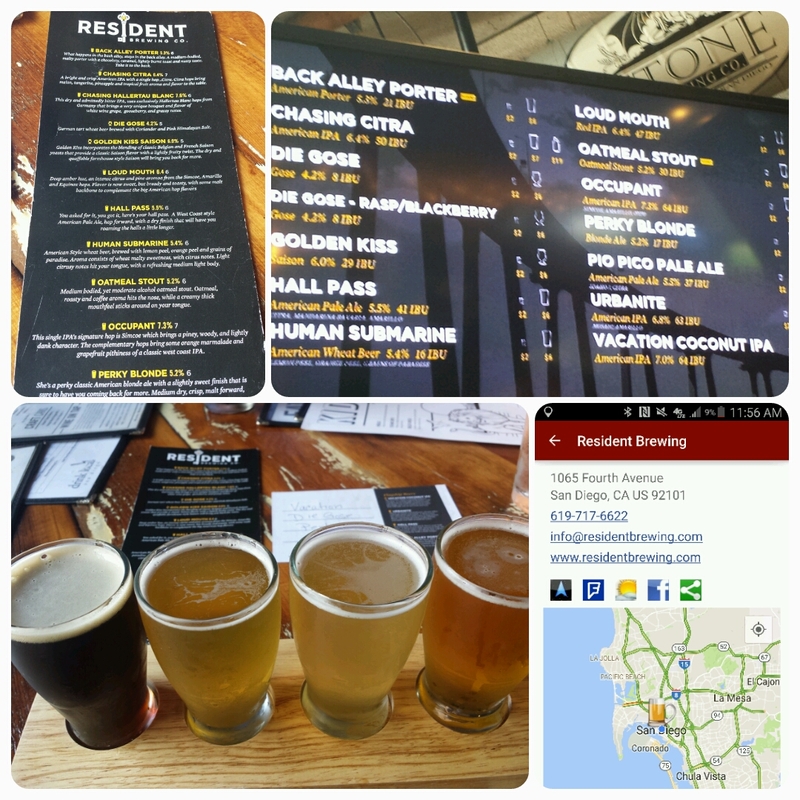 With a second trip to San Diego this summer, I was eager to use theCompass Winery, Brewery, Distillery Locator Mobile App to explore the bounteous San Diego craft beer scene. 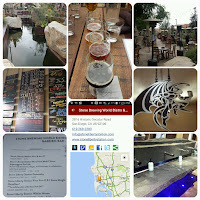 Over 80 tasting rooms with a few knocked out during our Nationals-Padres trip. 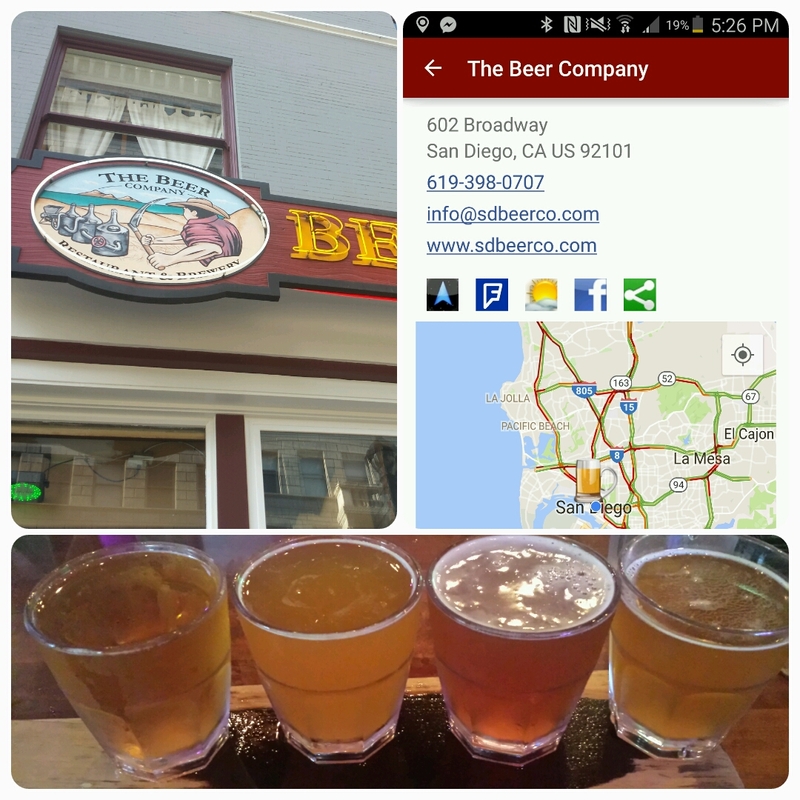 And the first brewery listed in the location search was only two blocks from out hotel: The Beer Company. 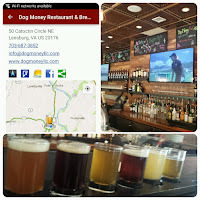 This brewpub is a bar first, pouring several other local beers, as well as a decent portfolio in house. These include the SD Wheat, San Diego Blonde, Cream Ale, Elimination IPA, and Pacific Beach Pale Ale. 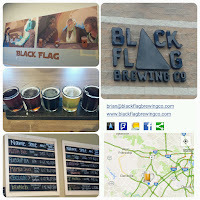 The last was my favorite, very balanced, then the IPA and Blonde. 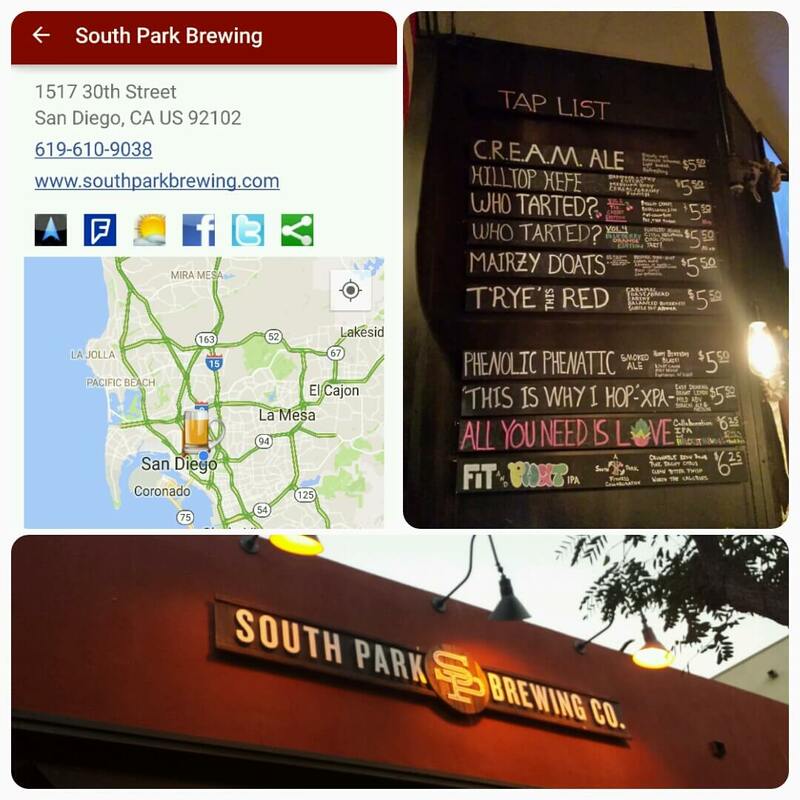 After a long day at the magnificent San Diego Zoo, I noticed on theCompass app that South Park Brewing was only a few miles away.. 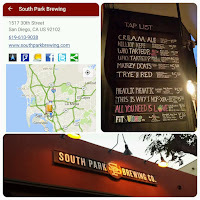 Yes immediately I thought of the Comedy Central show, but the brewery is named for the community that lies southeast of Balboa Park. It is owned by Hamiltons Tavern and Monkey Paw Brewing Company proprietor Scot Blair, with award-winning brewer Cosimo Sorrentino responsible for the taps. On this night, there were plenty of beer on tap - particularly the C.R.E.A.M. Ale (my Father's choice) and the Who Tarted? Vol 1, Cherry Edition. How could I pass that beer up? It was light, and tart with the sour cherries enveloping the palette. Well down. The Cream Ale was also very nice, less vanilla than at The Beer Company and more refreshing. 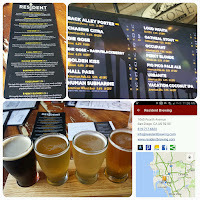 My son discovered Pokemon Go this month so as the price for using my phone and a two hour meander through the Gaslamp District, Southport, and the Pier we concluded with a stop at The Local - home to Resident Brewing. I'm not sure if it was due to finally sipping a beer after walking all morning but these beers were fantastic. Particularly when there are two gose beers such as the Die Gose and Die Gose - Raspberry/Backberry. The latter is even more tart with a slight fruit sweetness and the original tart and salty. 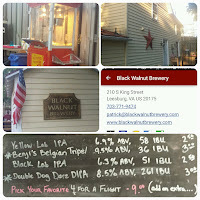 The Perky Blonde also carried some minerals and the Oatmeal Stout and Back Alley Porter nailed their respective styles.But the meisterstuck was the Vacation Coconut IPA - completely balanced with ample malts, coconuts, and Citra and Amarillo hops. Is there time for a third? A trip to San Diego must include a trip to Old Town and to avoid the overcrowded restaurants head not to far to Stone Brewing World Bistro & Gardens, the prize of the trip. 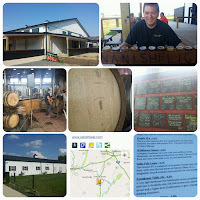 Not only is the venue spectacular but they pour the complete Stone portfolio brewed at their four locations. This Liberty Station location opened May 2013 in Point Loma’s now-historic Naval Training Center with the restaurant located in the former mess hall. "The restaurant encompasses more than 23,500 square feet of indoor and outdoor dining and bars, as well as a bocce ball court, outdoor cinema space and an 11,315-square-foot garden.". Pretty impressive. 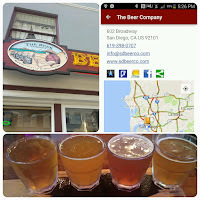 While devouring a large and oozing grilled cheese sandwich, I chose a sampler of Liberty Station brewed beers; all truly unique and fascinating. It started with the Stone Liberty Station Arrr & Arrr!!! Table Beer at only 3.5% ABV and quite backed with flavor. The came the Stone Alright Hamilton Amber Lager with a little more hop character. The Stone Liberty Station Wittier Moron Imperial Black Witbier was both spicy and complex and the Stone Liberty Station Oatworthy Oatmeal Pale Ale a treat. This spot is highly recommended. Cheers and safe travels. 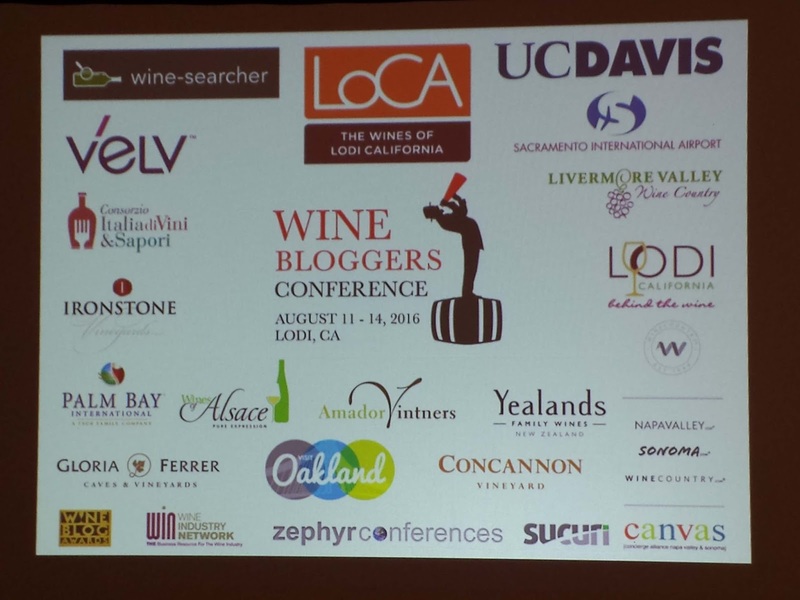 Here is 2016 Wine Bloggers Conference Keynote Speaker Master Sommelier Andrea Robinson in Lodi California. Apologize in advance for the two interruptions. 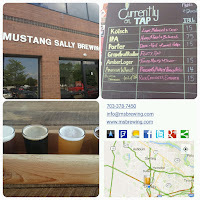 The Mustang Sally Brewing Company Kolsch has been getting plenty of airtime at local restaurants so when I noticed that Friday rush hour traffic was only mildly bad I Headed out to Chantilly. 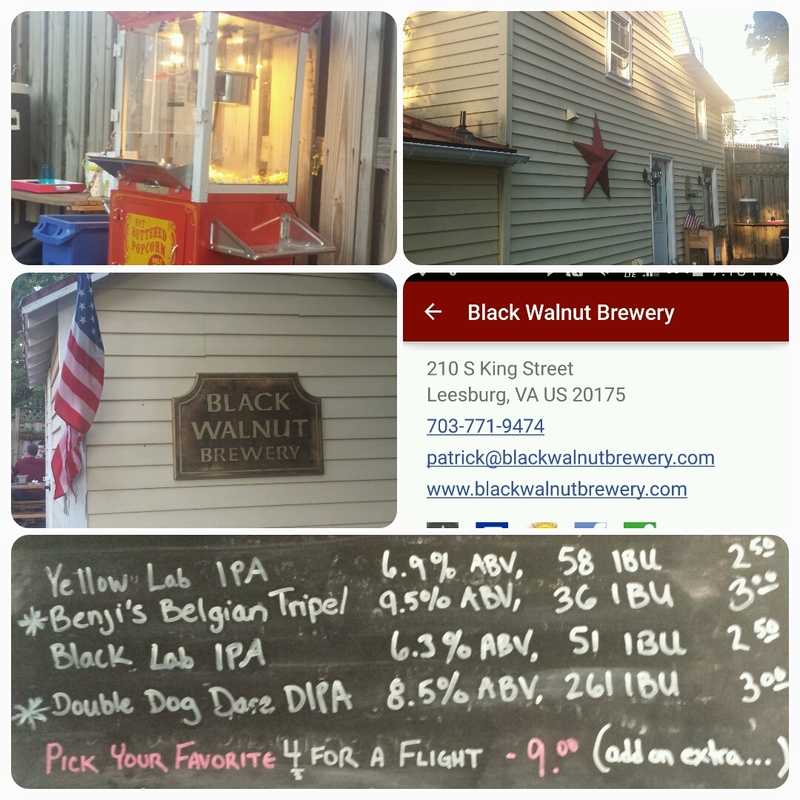 The brewery is located in a business\industrial complex very similar to Ocelot Brewing Company. 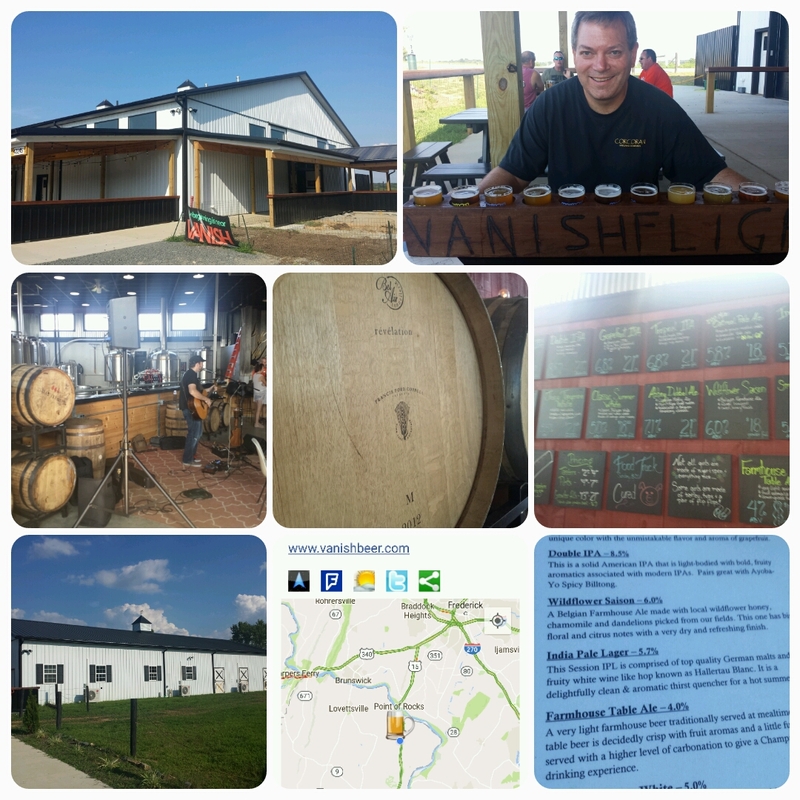 The tasting area is spacious with corn hole playing all the time. The management are Virginia craft beer veterans with head brewer Bret Kimbrough, the former head brewer of Vintage 50, and General Manager Dave Hennessey, the former head brewer of Old Dominion Brewing Company. 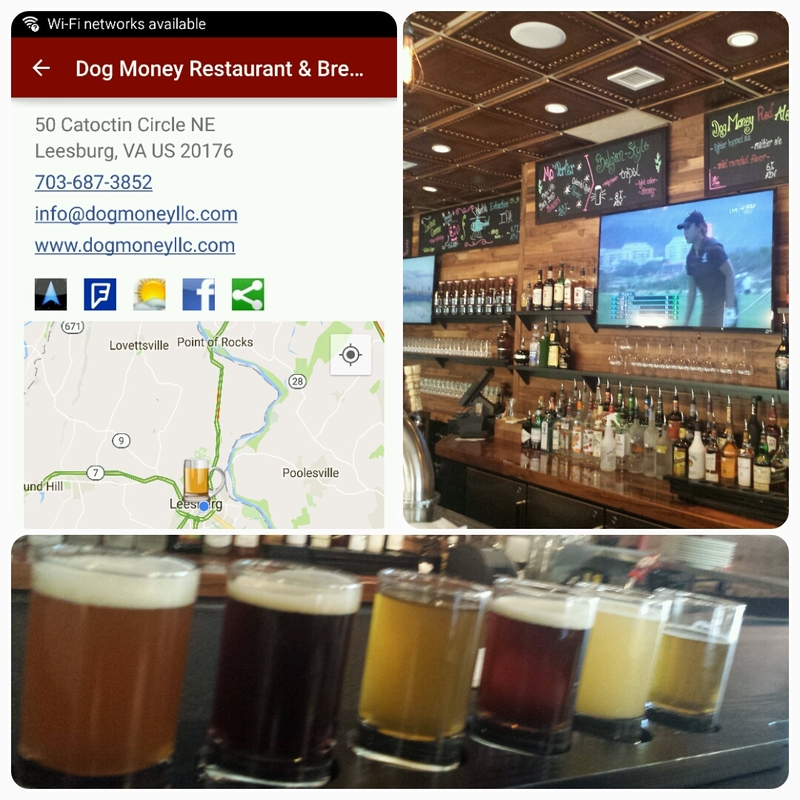 There were seven beers on tap for my visit and I chose a flight of their Kolsch, American Wheat, Porter, an IPA. And as expected the Kolsch was very good, followed in preference by the Porter - with the chocolate flavor melting through any mocha. The IPA was clean and balanced, whereas the Wheat was slightly bready with no banana flavor inducing yeast involved. I think I would have preferred a little more breadiness with this one. 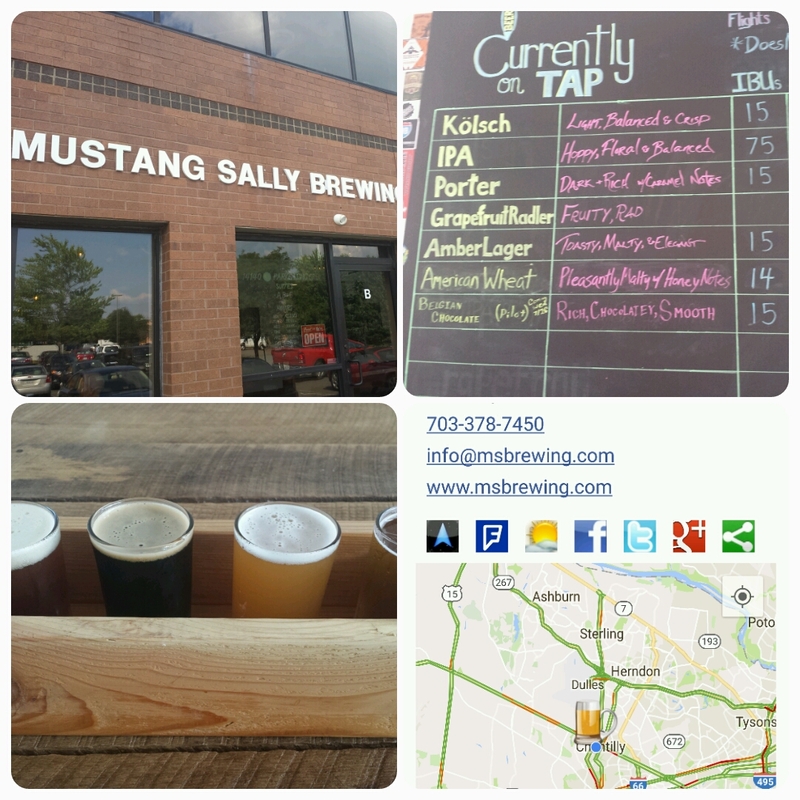 Overall, the Mustang Sally brews are steady, but nothing to draw me back repeatedly. 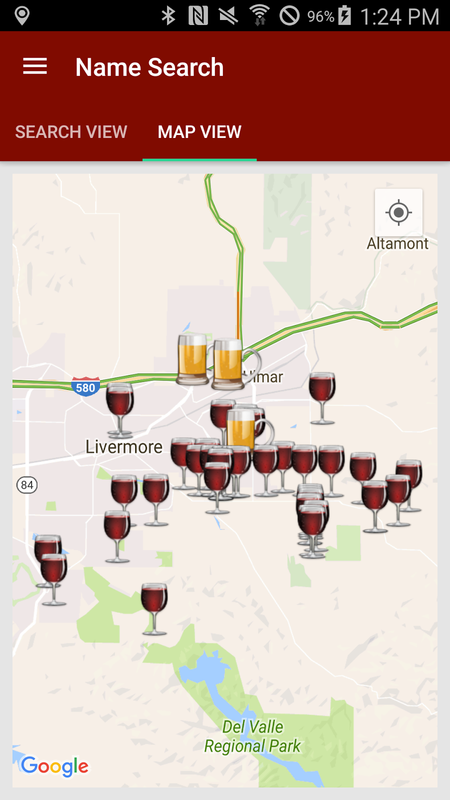 And as always theCompass Winery, Brewery, Distillery Locator Mobile App will guide you to these breweries. Cheers. Update (8/15/16): Just learned that Kenny Allen most recently of Old Ox is now the head brewer. 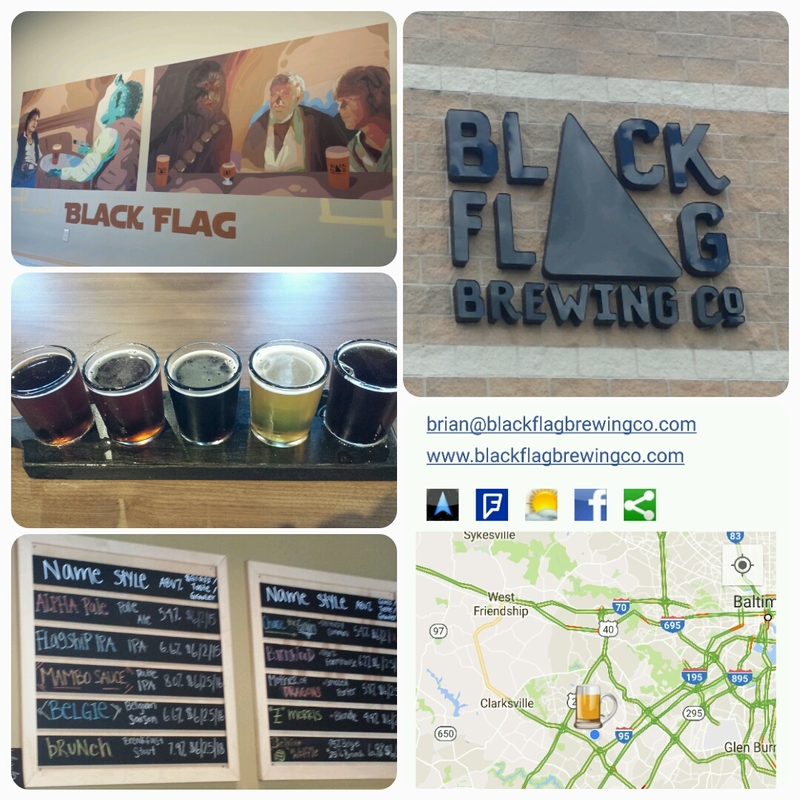 Howard County Maryland's newest brewery, Black Flag Brewing Company, opened July 27th with a large inventory of beers. Ten beers in fact, brewed in "direct opposition to the established norms - crafting beers that focus heavily on flavors and aromas without concern for fitting any given category". I'd say that marketing-brewing strategy is valid as the lineup includes an IPA, DIPA, Saison, Dark Farmhouse, Kentucky Common, Smoked Porter, Blonde and a special blend. The Prozack Morris Blonde was a popular choice with our group as was the Mambo Sauce DIPA, Barnwood Dark Farmhouse, Chase the Grain Kentucky Common, and Belgian Waffle Blend (75% Belgie Belgian Saison - 25% Brunch Breakfast Stout). Top honors, however, goes to the Mother of Dragons Smoked Porter. This beer teeters between mocha chocolate and subtle bits of smoked cherrywood. Nicely done. 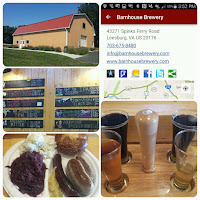 Cheers and as always theCompass Winery, Brewery, Distillery Locator Mobile App will guide you to Black Flag and other Maryland breweries. 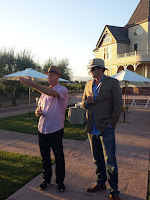 On July 19th Snooth co-founder Mark Angelillo and Murrieta’s Well winemaker Robbie Meyer participated in a video tasting of four Murrieta’s Well's wines while also discussing the history of the Livermore Valley winery. The winery traces its history back to 1883 with the planting of imported cuttings from France and the building of a gravity-flow winery into the hillside. 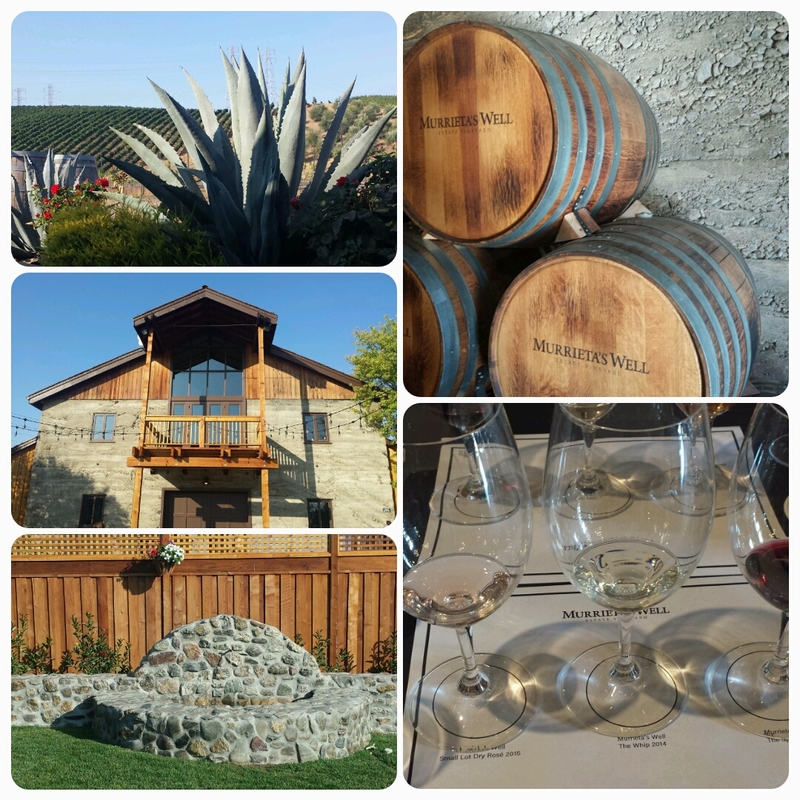 In 1990, Philip Wente and Sergio Traverso revived the 92-acre property, and renamed the winery in honor of Joaquin Murrieta who discovered the estate in the 1800s.The well refers to the Artesian well where Murrieta and his band of desperados watered their horses. The estate's 500 acres lie in the middle of the valley in generally gravelly soil with morning fog cooling the grapes before the start of a typical sunny day. The grapes for the four wines were harvested exclusively from these estate vineyards, blended from different blocks that exhibit slightly different soil types and mesoclimates. 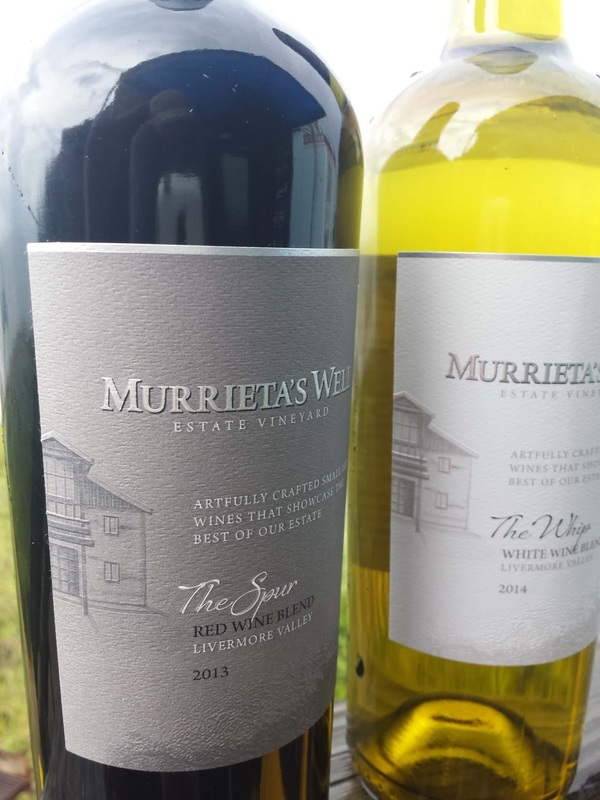 Murrieta’s Well The Whip White Wine Blend Livermore Valley 2014 ($24 - 29% Semillon, 27% Chardonnay, 18% Sauvignon Blanc, 12% Orange Muscat, 8% Muscat Canelli, 6% Viognier) was aged sur lie for 12 months with 30% of the wine aged in used neutral French oak barrels. This process enhances the wine’s general texture and mouthfeel. The tangerine aromatics from the muscat grapes are potent, followed by creamy apricot & citrus flavors (thanks to the Semillon& Chardonnay), and finishes refreshingly acidic. Quite nice. 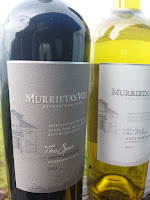 Murrieta’s Well The Spur Red Wine Blend Livermore Valley 2013 ($30 - 40% Petite Sirah, 26% Cabernet Sauvignon, 10% Petit Verdot, 8% Merlot, 8% Cabernet Franc, 8% Malbec) was aged for 24 months in French oak barrels, using a combination of new and previously used barrels. The result is a complex wine with chewy cherry flavors, some spice and chocolate with smooth tannins. Drink now and often. 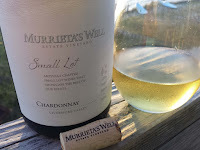 Murrieta’s Well Chardonnay Small Lot Livermore Valley 2014 ($44) is made from isolated own rooted Ernest Wente clone. The wine was fermented slowly in barrel with native yeast and aged sur lie - once again enhancing the wine’s general texture and mouthfeel. Yet the oak doesn't overwhelm the wine, leaving the creamy chardonnay citrus flavors to acquire the spotlight. Textured and refreshing acids. And extremely nice wine. Murrieta’s Well Cabernet Sauvignon Small Lot Livermore Valley 2013 ($58 -75% Cabernet Sauvignon, 6% Cabernet Franc, 6% Malbec, 5% Petite Sirah, 4% Petit Verdot, 4% Merlot) was aged for 20 months in 70% new French oak. 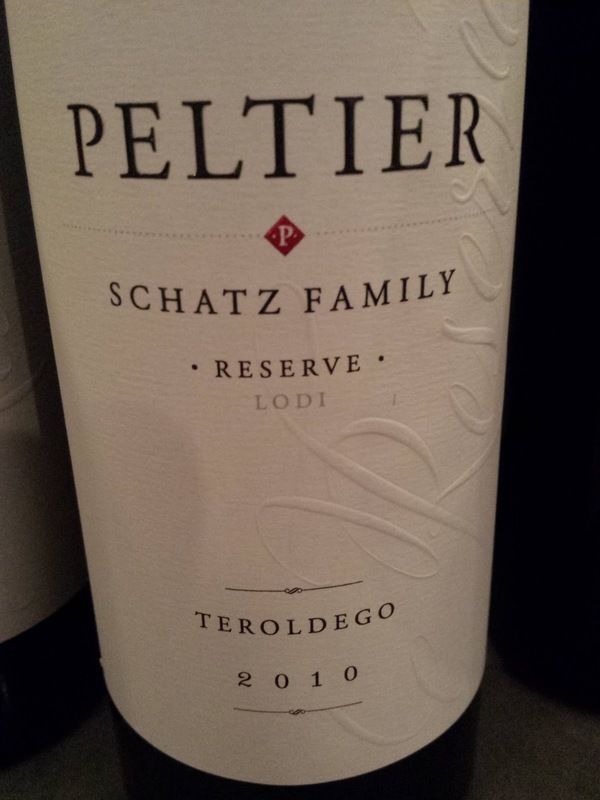 This is a meaty and juicy wine with some dustiness and lingering smoothness of dark chocolate. 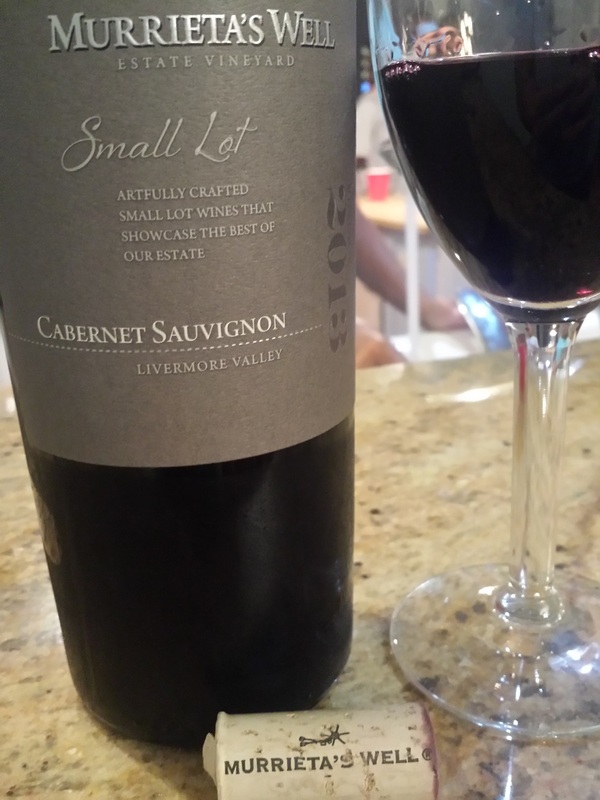 The acidity and strong tannins allow for long aging. Decant accordingly.